Here you can find a strain description about Purple Wreck and also some user-based reviews and infos directly from the SeedFinder (if available). You can also find the offers and auctions here if Purple Wreck cannabis seeds are on stock at MyCannapot right now. New420Guy Purple Wreck (originally from Reserva Privada) is a fast growing plant that grows like an indica plant, bushy with huge leaves. Indoors, she will stretch about a foot on average during flowering and produce lots of side branches that will need support as the buds get bigger and heavier. Outdoors, she will grow to enormous sizes easily producing a pound or more of processed flower. 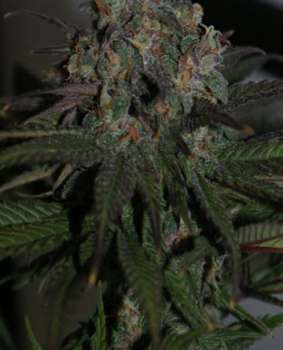 Purple Wreck at 20.79% THC level tested the highest of all strains available by New420Guy Seeds. Buy Purple Wreck now at MyCannapot!